Your help could mean the difference between a Christmas season of love and joy over one of silence and isolation for many area seniors. During a senior Christmas dinner in the past, one senior offers his heartfelt thanks to organizer Barbara Jones. Each year, she receives calls and notes thanking her for what can only be described as one of the miracles of Christmas. For uncounted millions of people on earth, the Christmas season is a time for joy. It is a time for selflessness, togetherness, and to reconnect both with that which is most important in life and with those we love. But for many others, Christmas can be a time of loneliness. Too many seniors, homeless veterans, and others in our own communities and around this nation face the prospect of the days of cheer and goodwill instead being days of silence and isolation. 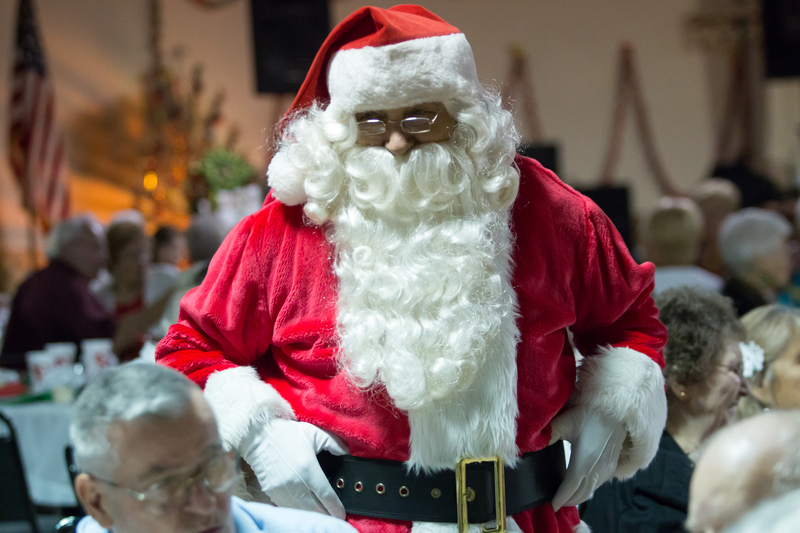 Seniors are among our most vulnerable and cherished population; but somehow they can be overlooked during the holidays. It is a busy time for many of us. 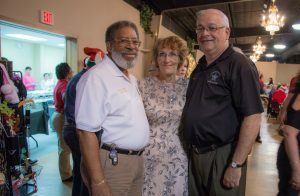 For the past 20 years, the Hillsborough County Sheriff’s Office, spearheaded by now-retired Riverview community service officer Barbara Jones, along with dozens of volunteers and numerous area businesses, have created a Christmas miracle for many thousands of seniors and veterans. It is no small task. They have collectively brought seniors together, who may otherwise be alone, to enjoy the Christmas spirit. 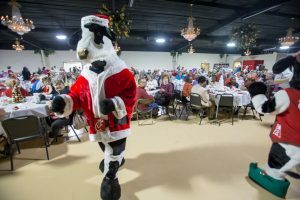 For the seniors, it is a dinner that lasts for one evening each year, but the good cheer and warm feelings that result from it carry on for much longer. Over the years, Jones has consistently received notes and calls with sincere thanks in the days and weeks after the event. 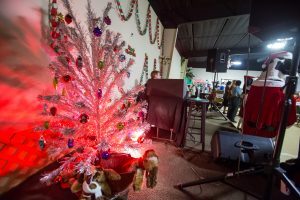 Some are tear-stained, with children telling of just how much their parents had enjoyed their last Christmas with so many others and feeling loved. Yet for many families, preparing dinner for family and guests on any holiday can be a stressful event. 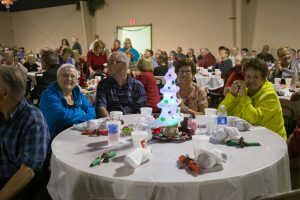 The senior dinner is all that times infinity — each year up to (often more than) 700 seniors show up for dinner, entertainment, time to connect with others during the most joyous season of the year and to receive a small gift. Organizers are planning for 650 seniors this year but, as in years past, it is likely that more will show up than are planned for. It’s hard to turn anyone away at Christmastime. Along with the sheer magnitude of planning such a large event, which is nearly a year-long process in itself, is the never-ending need for help in providing dinner and gifts for the seniors. 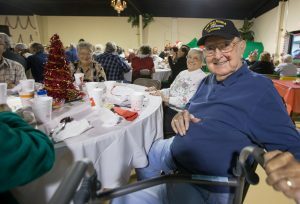 In a letter to the community from HCSO Community Resource Deputy Clifford Fletcher, he thanked the community for two decades of support in hosting the annual Christmas dinner, which is a regional event drawing seniors from all communities in South Hillsborough, many from nursing homes and assisted living facilities. 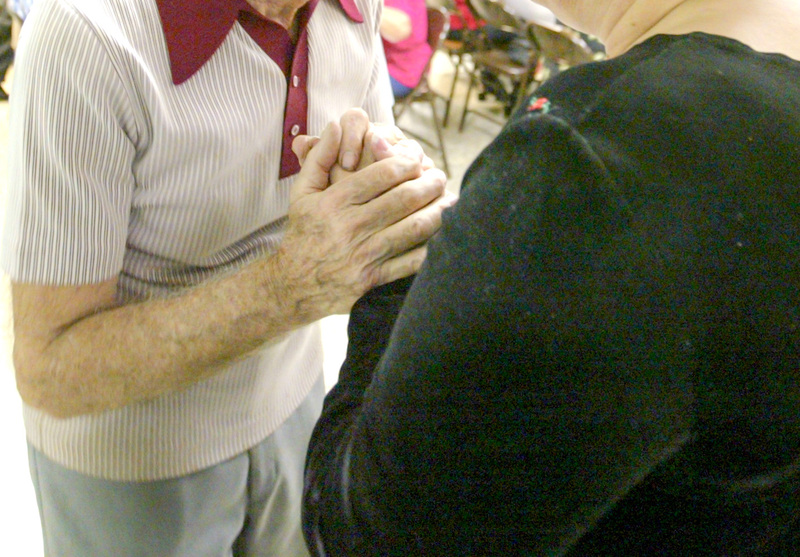 In addition, he pointed to one of the goals of providing care for those suffering from Alzheimer’s, which in turn provides a respite for caregivers. HCSO Riverview Community Service Officer Barbara Jones with Chaplain Rev. R. Davis of the Tampa Police Department and HCSO Chaplain John Garbreana at last year’s dinner. A list of all of the items needed accompanies this article. Last year, 728 seniors experienced the magic of Christmas at the dinner. Deputy Fletcher also mentioned that volunteers to help make it all happen would be welcome. Jones has dedicated much of her life to helping others, particularly the most vulnerable among us — in stories told and untold at Christmastime and anytime. 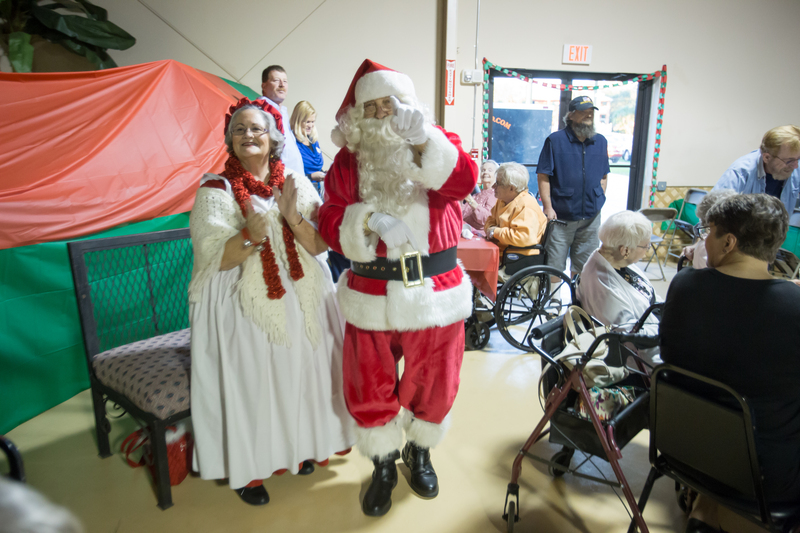 She is among those living the spirit of Christmas; she is an example of “give and you shall receive.” With less than a month left before the annual dinner, Christmas for her and all of the volunteers is fast approaching. 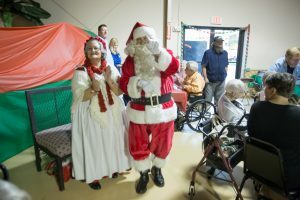 Please do what you can to help — let your heart be light and, like hundreds of seniors being welcomed with joy and happiness, there is little doubt that it will make your Merry Little Christmas larger, happier and brighter. For additional information on how you can help, contact Deputy Clifford Fletcher at 813-672-7822. Items needed as of Nov. 7. Please contact HCSO Deputy Clifford Fletcher at 813-672-7822 for the most current needs.